The mineralogy of a rock (the individual constituents defined by their unique combinations of chemistry and crystallography) and the texture of a rock (the way in which the minerals are arranged geospatially, particularly with respect to each other, voids, pores and fractures), together largely control, or influence in some way, every major geological, petrophysical and engineering attribute relevant to the petroleum industry, whether it be density (sonic), hardness and brittleness (frackability), electrical conductivity (resistivity), radioactivity (gamma ray), rock type and lithotype (sedimentary, igneous or metamorphic components). Can the same be said for mining? 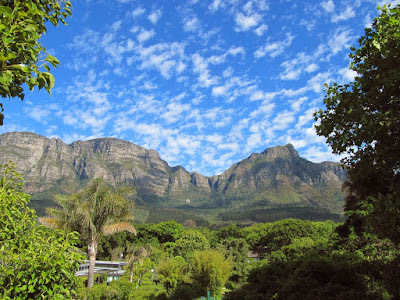 Almost certainly yes, according to Alan Butcher, Professor of Geomaterials and Applied Mineralogy at the Geological Survey of Finland, who will be presenting an eponymous keynote lecture at Process Mineralogy '18 in Cape Town next year. Prof. Butcher has spent the last 20 years developing automated mineralogical techniques for the mining, geoscience and petroleum sectors, where he has gained much experience in examining rocks of commercial importance. Prior to this, he was a lecturer in igneous petrology and course director of the MSc in Mining Geology at the Camborne School of Mines, University of Exeter, UK. Alan will show how the application of mineral and petrographic information is often quite different, as unlike the oil industry - where the commodities (oil and/or gas) are not measured directly, only the areas in the rock where they reside (mostly pores) - in mining, we investigate the nature of the commodity directly (ore-forming minerals). This leads us to tackle similar challenges but from completely different perspectives. In mineral processing, we are typically concerned with predicting, measuring, monitoring and improving the behaviour of the (mostly valuable) components as they pass through the drilling, blasting, comminution and separation stages of the mining cycle. There is no question that an ore’s performance is strongly controlled and influenced by its original starting mineralogy and texture. The keynote will review which minerals are most likely to cause significant production problems in both worlds. It will compare the analytical work flows used to characterize the so-called menace minerals, and will suggest what learnings can be made. For example, knowing that one has the right type of pore-lining clay in a reservoir rock is critical to a petroleum engineer; likewise, being made aware that clay is present in an ore before it is processed (rather than after) is very helpful to a minerals engineer. The two industries typically approach characterizing clays from completely different angles, partly because the applications are different, but also the budgets and risk factors are not on the same scale. But that aside, given that the minerals in each case may be similar (or virtually identical), and that it is applied mineralogists (scientists) who document and deliver the information to the engineers, it is important that all professionals involved in the greater natural resources community share their best practices across what are traditionally separate industrial segments, and that innovations are openly discussed so they can be adopted, if found to be useful. The paper will be a major contribution to popularizing such a cross-disciplinary approach between the oil and gas and mining industries. 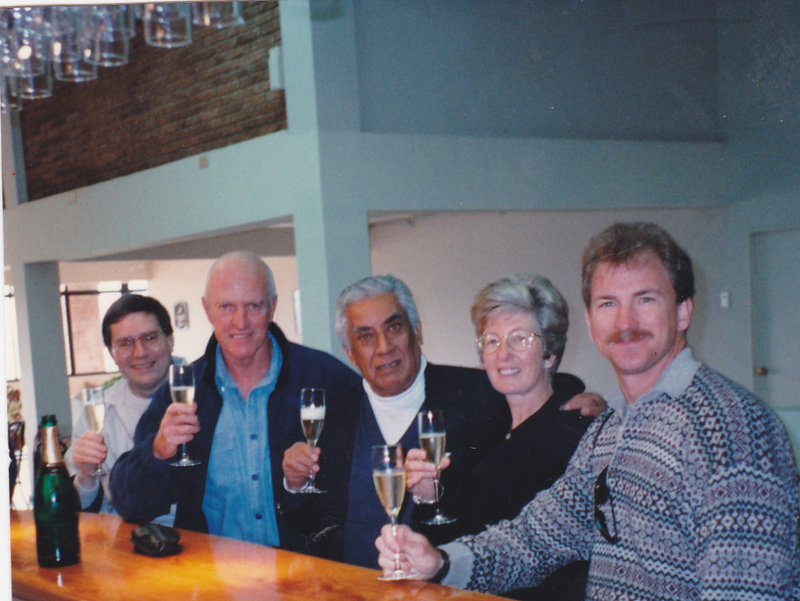 Minerals Engineering '97 began 20 years ago today at the Crowne Plaza Hotel in Santiago, Chile. The first, and only, of the Minerals Engineering series to be held in South America, it was organised by CSMA Minerals Ltd, Minerals Engineering journal, Camborne School of Mines, and the Universities of Chile, Santa Maria and Concepcion. The sole sponsor was Hazen Research, USA. It was good to reminisce over a few beers by Falmouth's inner harbour on Monday evening, with two old friends, Dave Dew and Frank Crundwell. 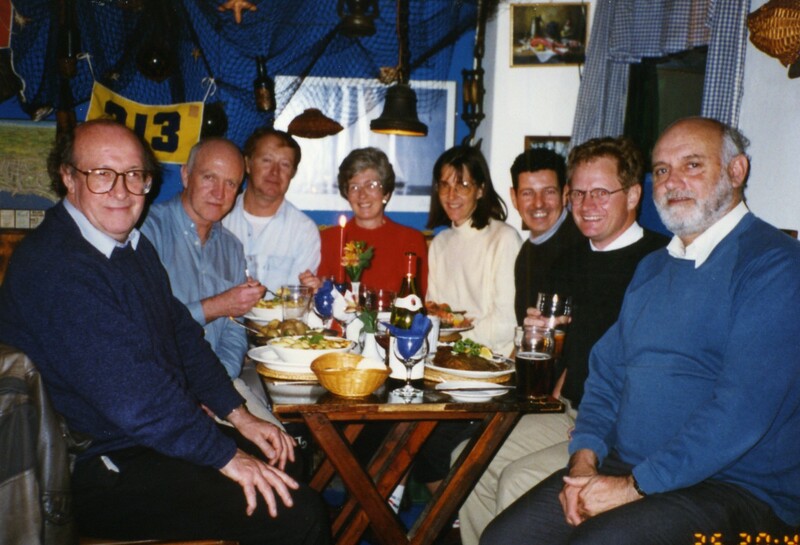 Frank I first met in Falmouth in 1996 when he represented the University of the Witwatersrand at Biotech '96. He is in the UK this week to set up a metallurgical consultancy, as a sister company to his South African company CM-Solutions, which he hopes to operate from London. He is down in Cornwall to present a seminar today at the Camborne School of Mines. Dave I have known for 40 years. He was in the Camborne School of Mines class of '79, one of the first graduates in mineral processing. 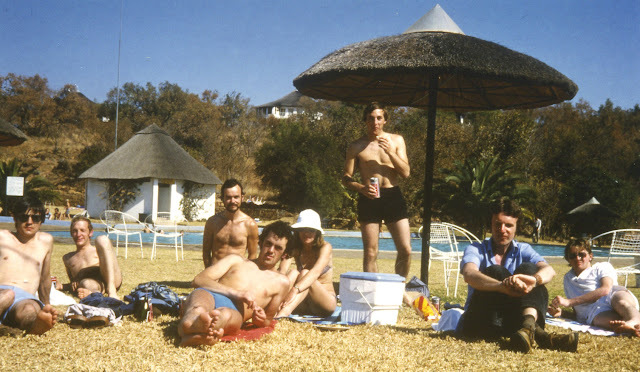 In 1978 he was one of a party of vacation students from various British universities whose projects I supervised in Anglo American mines in South Africa. After graduating from CSM Dave stayed on to complete a PhD, then returned to South Africa in 1983, where he had great success with Gencor Ltd, and became a leading player in the relatively new field of biohydrometallurgy. Initially he was involved in development projects related to gold recovery by carbon-in-pulp and carbon-in-leach technology, which was rapidly taking over from the conventional cyanidation for treatment of gold ores. In 1990, as Principal Research Metallurgist, he joined the project team responsible for development of the BIOX™ Process. He took a lead role in the improvement and design of the bioleach reactors reducing power costs and establishing a methodology for pilot testing and commercial plant design. The technology was applied in a number of new operations notably Sao Bento in Brazil, Wiluna in Australia and Ashanti Goldfields in Ghana. When in 1998 the assets of Gencor excluding platinum, were transferred to Billiton, Dave continued with the development of bioleaching technology with a focus on the treatment of nickel and copper sulfide concentrates. He was appointed Manager Process Development responsible for leading research in this area, resulting in the successful pilot scale demonstration of the BioNIC™ Process for treatment of an Australian nickel sulfide concentrate and the demonstration of the BioCOP™ Process in 2000 under the Alliance Copper Joint Venture with Codelco, producing 20 000 tpa copper from chalcopyrite concentrates contaminated with arsenic. In 2001 Billiton merged with BHP to become BHP Billiton and Dave was appointed as Global Technology Manager at the Johannesburg Technology Centre primarily responsible for technology development for the Base Metals division. During the period from 2001 to 2009 the centre focused on the development of bioheap leaching and chemical heap leaching technology for treatment of low grade primary copper sulfide ores. The bioleaching technology for high temperature leaching of low grade chalcopyrite ore was tested in a 250 000 pilot test heap at the Escondida Mine in Chile over the period 2005-2008. In 2009 the Technology group of BHP Billiton was restructured and the research laboratories in Johannesburg were closed and key activities related to development of heap leaching technology were transferred to a new, purpose built facility at the Escondida Mine, Chile. Dave became an independent consultant in 2012 and formed his own company, Dewality Consultants Ltd, which he operates from his home in Cornwall. He is still very much involved with Chile, specialising in bioheap leaching of sulphides. He is also an honorary associate of CSM and advises on research projects, including rare earth resources, their security of supply and methods of concentration. Dave and Frank also go back a long way, having first met in South Africa in 1990 when Frank was a young research officer at Wits, working on a project funded by Gencor. I will be catching up with Frank at Flotation '17 in November where he will be presenting a paper on the mechanism of the flotation of soluble and semi-soluble salts. Dave I am still trying to persuade to take some time out of his very busy schedule to present a keynote lecture at Biohydromet '18 next June in Namibia! The ShanghaiRanking Consultancy (SRC), which claims to be the official publisher of the Academic Ranking of World Universities, has published its rankings of mining and mineral engineering university departments for 2017. I am sure that those listed in the top 10 will be very pleased with this publication, but I am equally sure that many departments will feel that they have been hard done by, particularly when the listing is compared with the 2017 QS World Ranking of Top Mineral & Mining Universities. I criticised the QS list in 2016 (posting of 5th April 2016), as many of the ranked universities did not have minerals departments, which makes you wonder how these lists are put together. For the 2nd year running the Colorado School of Mines is #1 in the QS ranking, but only merits #45 by the SRC. The top ranked SRC university, the admirable University of Science and Technology Beijing, does not merit a place in the QS rankings! Of the universities in the listings, there is only one which appears in the top 10 of both listings- the University of Queensland. The world renowned Camborne School of Mines does not appear in the top 50 of either listing. So I ask once again- what is the point of these listings? At best they are controversial, and at worst they create much ill-feelings and despondency, and I am sure can be very damaging to the reputation of many departments. There was a great turn-out last night for the July Cornish Mining sundowner, and it was good to see so many final year Camborne School of Mines students, who will be graduating this week. The sundowner was back in Falmouth, this time on the terrace of the historic Greenbank Hotel, on the bank of the Penryn River. The Greenbank Hotel started as a private residence and dates back to at least 1640. Later, the beautiful building became an inn and because of its perfect position across the Penryn river from Flushing village, it was used as the original drop off and collection point for the Flushing Ferry. One of its claims to fame is that in 1907, Florence Nightingale stayed at the hotel and her name can still be seen in the guest book by reception. Additionally, Kenneth Grahame stayed at the hotel between the spring and autumn of 1907, and wrote letters to his son, which later formed the stories for The Wind in the Willows. I was particularly pleased to meet James Strong, Marketing Manager for Comminution '18 sponsor Grinding Solutions Ltd, and to accept his invitation for MEI to be a media partner for their Technical and Innovation Workshop in Portugal this September, which will also be followed by a sundowner. A set of presentation titles and descriptions for the session, which will be on the afternoon of Friday 29th September, is now available here. The next sundowner will be at The 'Front pub in Falmouth on August 24th, and is open to anyone with an interest in the mining industry who is in Cornwall at that time. I first met Monica Shamvuse Kalichini at Comminution '12 in Cape Town, where she represented First Quantum Minerals' Kansanshi Mine, Zambia. Since then she has impressed us at various MEI Conferences with her increasing confidence and professionalism. At Flotation '13 she presented her first paper on behalf of First Quantum Minerals, while studying for her Masters in Engineering at the University of Cape Town. 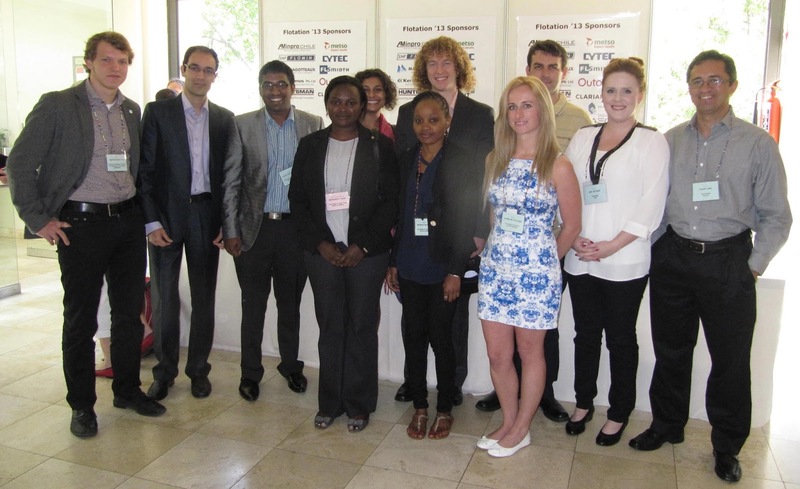 During her time at UCT her research focused on sulphidisation and flotation of non-sulphide copper minerals which exposed her to the importance of process mineralogy and its application in understanding flotation response, and at Process Mineralogy '14 she was back representing Kansanshi, working with conference sponsor Zeiss on the first site-based scanning electron microscope. She worked at First Quantum Minerals' Kansanshi Mine for 6 years, but this year she was at Process Mineralogy '17 as a senior project metallurgist for Nevsun's Bisha mine in Eritrea. Monica is 29 years old, and obtained her Bachelors in Mineral Science from the University of Zambia (UNZA) in 2010 and her Masters in Engineering (Chemical Engineering) from the University of Cape Town in 2015. She says that when she started her undergraduate studies at UNZA, she had no clue what mineral processing was. "I just knew I was going to start my first year in Natural Sciences and find my way to chemistry (my favourite science)". In her second semester, the School of Natural Science arranged for all the science based faculties to give a talk to the first year students on why they should pick a career in the disciplines they taught. "That’s when I first encountered the one person that has inspired me the most academically and professionally- Professor Stephen Simukanga. He talked about mining in general and focused on metallurgy and a fire just ignited in me. I knew exactly how and where I wanted to apply myself- in mineral processing. I have not looked back since". Monica feels privileged to have been part of the team that launched the first site based Scanning Electron Microscope for process mineralogy while working at Kansanshi, the project allowing her to see first hand the financial value a mineral processing plant gains from routine mineralogy to drive continuous improvement projects. It also gave her the opportunity "to meet some great people that are doing amazing work in this space at Zeiss, Petrolab and MinAssist". She says that she thrives on seeing fundamental concepts we learn and write about applied in reality so "I was very happy to be able to present our findings from this at the Process Mineralogy ’17 conference". 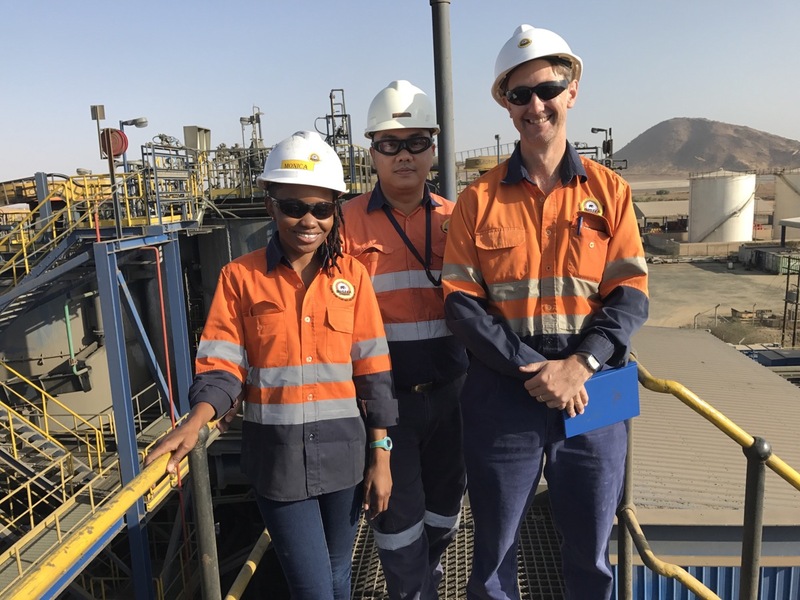 "My new role with Bisha mine has me working with a completely different type of deposit (VMS)", she said "and has exposed me to a different set of minerals- in particular, this is the first time I have worked on sphalerite. The mineralogy and flotation chemistry here is like nothing I’ve ever seen before and I look forward to all the projects that we are going to undertake. I’ve had to start reading my old chemistry text books again!" In the short term, Monica is focusing on a better understanding of flotation chemistry and linking this to mineralogy and eventually optimized reagent suites. She is also excited about starting her doctorate programme soon and to applying mineralogy to better understand, predict and mitigate the environmental impact of mining. Her long term plan is full time research and teaching. Although a dedicated young scientist, Monica has many outside interests. "I took up mountain biking late last year and although I still fall off my bike (often), I am enjoying it a lot" she says. 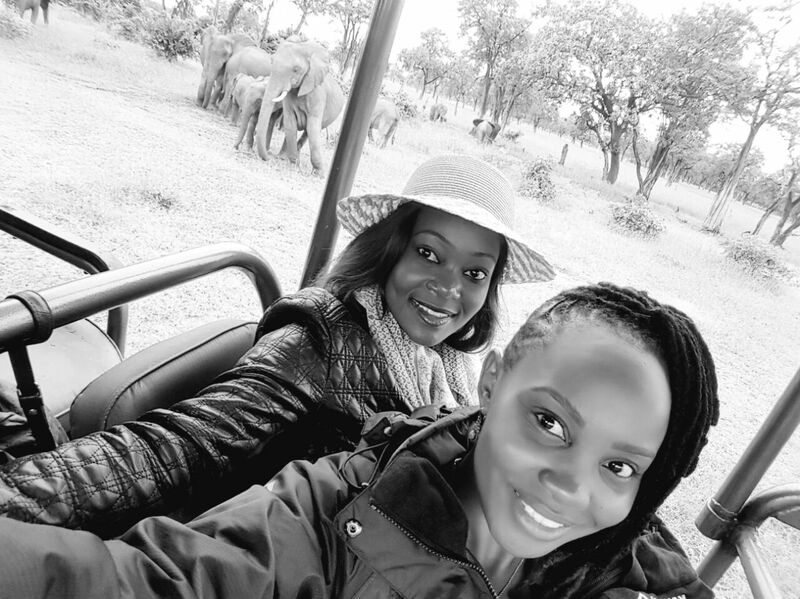 She also enjoys travelling and has committed to rediscovering the beauty that is Zambia, so has been touring it quite a bit recently. Monica is a true Rising Star and we expect to see and hear much more of her in the future. The Bruker team, representing the German, Australian and South African offices, is always out in force at MEI's Process Mineralogy conferences, and has sponsored all the previous conferences in the series. So it is great to welcome them all back for the 5th time to Process Mineralogy '18. Together with regulars Zeiss they are the first early sponsors of next year's event in Cape Town. Barbara and I spent a couple of days in London earlier in the week, to attend a very special black-tie event at the Institute of Materials, Minerals and Mining (IOM3) in the City of Westminster, at which the President of IOM3, Martin Cox, presented the Institute's Premier Awards (see posting of 12 April). In his address, Martin said, "It takes significant application to get to the IOM3 Awards, and we are very pleased to provide the recognition to individuals for their achievements this evening." The medals and prizes that were given out acknowledged individuals and local society groups for their achievements, published work and contributions to the profession. 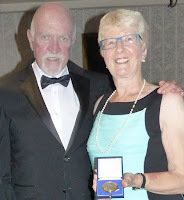 I was proud to receive the Medal for Excellence which I dedicated to my family, Barbara, Amanda and Jon - the MEI team, and thanked Prof. Hylke Glass, of Camborne School of Mines, for nominating me for the award. While in London we also took the opportunity to wander around Westminster, made easier these days thanks to Google Maps. It is many years since we last visited London as tourists, our main reason for travelling regularly from Cornwall being to access Heathrow and Gatwick airports! London is an incredible capital city, alive with entertainment and a rich history. It is dynamic, bustling with visitors from all around the world, those from overseas making the most of the weak value of sterling after the Brexit referendum. So a memorable couple of days, but nice to be back to appreciate the tranquillity of Cornwall. It is good to welcome Senmin to Flotation '17, the 6th time that this South African company has sponsored MEI's flotation series. The company has invested in state-of-the-art technology, with respect to its new production facilities, to meet expanding mining requirements and to meet the growing demands of mines throughout South and Southern Africa, Australasia and Chile. Over the past 40 years, biohydrometallurgy has been recognised increasingly as an emerging technology for extraction of metal values from recalcitrant minerals, low grade ores or mineral resources carrying penalty metals. This has led to the development of commercial tank and heap leaching processes, processing concentrates and crushed ores to liberate metals of interest through bioleaching of base metals and biooxidation to enable subsequent recovery of gold and PGMs. 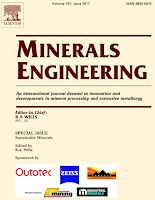 The potential of in situ leaching of mineral reserves is under consideration with biohydrometallurgy of key interest owing to the potential for ongoing regeneration of leach agents. Processes based on biohydrometallurgy have potential to deliver environmental benefits over competing extraction approaches and to enhance the degree of extraction from the overall resource. While many of the commercial applications of biohydrometallurgy for recovery of metal values use solvent extraction and electrowinning for metal recovery, the importance of biohydrometallurgy in the recovery of metals or, mainly, the removal of metals from aqueous solutions has been considered from the environmental perspective through, for example, biological sulfate reduction with associated metal precipitation. Currently, the recognition of the relevance of biohydrometallurgy in a broader context is growing. Key aspects include the need to account for unintentional bioleaching reactions on the disposal of waste rock and tailings and the need for the long term prevention of such reactions to enable appropriate handling of waste rock and restoration and rehabilitation of prior mine sites with associated protection of water resources. Further, limited global resources of key metals highlight both the need to process mineral resources of decreasing grade, smaller size of deposit and increasing complexity and the ability to extract metals from secondary sources for re-use. In the former, biohydrometallurgy has potential to expand technological approaches. In the latter, with an increasing focus on the circular economy, the sources of metals or modern-day ‘ores’ are changing to include secondary resources such as waste electrical and electronic equipment (WEEE) and municipal solid waste (MSW). These present new challenges for biohydrometallurgists. Next year in Namibia, MEI has two important conferences back to back, Biohydromet '18, followed by Sustainable Minerals '18. 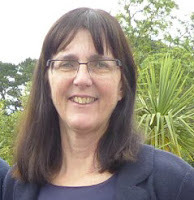 On the final morning of Biohydromet '18, Prof. Sue Harrison, Head of the Centre for Bioprocess Engineering Research, at the University of Cape Town, will present a keynote lecture on the role of biohydrometallurgy in the sustainable development of mineral resources, highlighting the contribution of and challenges for biohydrometallurgy in sustainable development of mineral resources, and consideration of the supply of key metals with the goal of maximising resource efficiency while minimising environmental burden. Prof. Harrison, who is also an MEI consultant for biohydrometallurgy, has some 20 years experience in research in bioprocess engineering, gained in the industrial and academic arenas, and she collaborates actively with researchers at the Universities of Mumbai, Cambridge and Imperial College London and with companies in South Africa and abroad. Since her appointment to the UCT academic staff in 1991 more than 40 MSc and PhD students have been awarded research degrees under her supervision. She was awarded the South African DST Research Chair in Bioprocess Engineering, with effect from 2008. It was good news for Minerals Engineering to hear that the Impact Factor had risen 40% in a year to a record high (posting of 30th June). Coincidentally, the number of papers submitted in 2016 was also at a record high, and also a 40% increase on the number submitted in 2015. However, there is a darker side to this. Of the 1325 articles dealt with in 2016, 65% of them were rejected by me without sending to review and the final rejection rate was 79%, also an all time record. Clearly there is still a lot of bad science around and early last year there was much vigorous debate on the need to take bad science seriously (posting of 18 January 2016). So why is the message not getting through? Apparently one of the reasons is that young researchers are being pressurised by their Universities into publishing as many papers as possible in prestigious journals, even if this means cutting corners in a rush to publish. Bullied into Bad Science is a campaign led by a group of junior researchers at the University of Cambridge who are fed up with the relentless pressure to produce reams of 'jazzed-up' findings. The campaign has set its sights on the senior academics and university officials who choose which researchers to hire or fund on the basis of how many papers they have published and in what journals- sometimes without actually reading the articles in question! The movement has now spread to universities around the world, including Bristol, Oxford, University College London and the University of California, Los Angeles and more than 50 academics have signed up so far. The survey notes that early career researchers (ECRs) are often pressured into publishing against their ethics through threats that they would not get a job/grant unless they publish in particular journals; usually these journals are well established, have a print version, a high impact factor, and are not 100% open access. They feel that these "out of date practices and ideas" hinder rather than help ECRs: evidence shows that publishing open access results in increased citations, media attention, and job/funding opportunities. Open dissemination of all research outputs is also a fundamental principle on which ECRs rely to fight the on-going reproducibility crisis in science and thus improve the quality of their research. 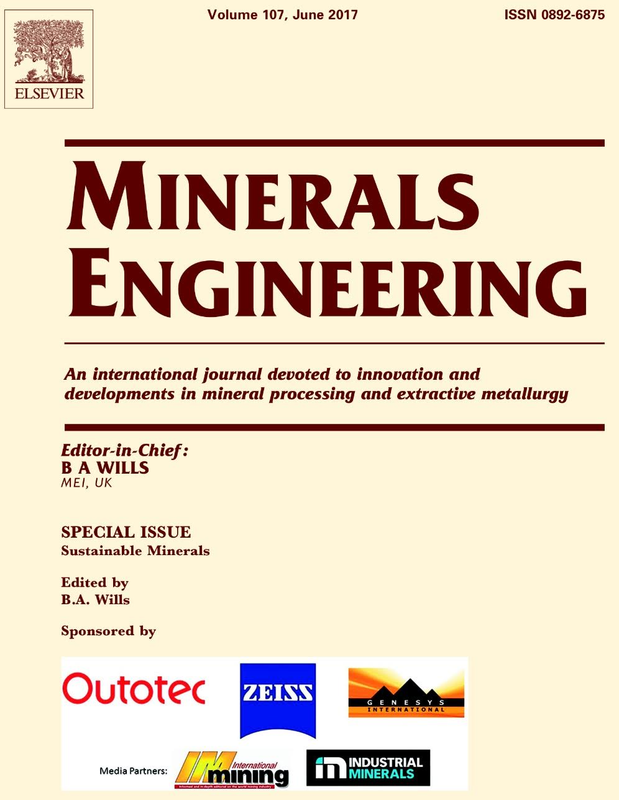 Although I am fully aware that Minerals Engineering is one of those well established journals, with a high impact factor in its field, and there is increasing pressure to submit and have articles published in it, I do think that the aims of the ECRs are laudable, and I would like to open this for discussion. I would particularly like to hear of any of your experiences of being bullied into cutting corners in the hope of early publication (you may if you wish submit your comments anonymously). Cape Town is now established as the venue for the biennial meeting of flotation scientists and practitioners from around the world, and this year's Flotation '17 is shaping up to be one of the biggest in the series. Corporate support has been stronger than ever and this year over 145 papers have been accepted for presentation in oral and poster sessions, with contributions from authors from over 25 countries. The provisional timetable has now been published, and includes two keynote lectures from distinguished workers in this field, Prof. Roe-Hoan Yoon of Virginia Tech, USA, and Dr. Bill Johnson of Mineralis Consultants Pty Ltd and Adjunct Professor at the University of Queensland, Australia. ﻿Impressive as the technical programme is, Flotation '17 also provides excellent networking opportunities, particularly during the 5 evening social events, which include dinner at Lagoon Beach, with its classical view of Table Mountain. Coffee and lunch breaks are also great opportunities for networking, as these are held in the exhibition area. If you would like to exhibit, check out the layout on the conference website. Registration is now open, and we invite you to join us in beautiful Claremont, Cape Town, for an unmissable event. I have known Dr. Osvaldo Bascur for many years, and we regularly meet at SME Annual Meetings and International Mineral Processing Congresses around the world. 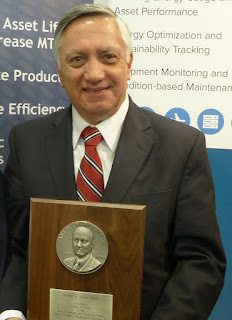 At the 2014 SME Meeting in Salt Lake City he was presented with the SME's most prestigious mineral processing award, the Antoine Gaudin Award acknowledging his outstanding contributions in mathematical modelling and management of process information in the mineral processing industry. Dr. Bascur’s career spans over 30 years of meritorious scientific and seminal engineering contributions to the understanding of mineral processing technology in the areas of comminution, classification, froth flotation, thickening and hydrometallurgy. 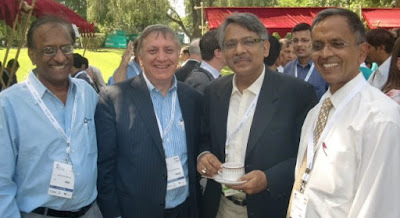 He has been a leader in the industrial implementation of dynamic process modelling, analysis, and optimization of mineral processing operations. His outstanding contributions are based on more than 10 years of fundamental seminal research, and 20 years of pioneering industrial transformational behaviour using process control and real time information operational management. The resulting continuous improvement and innovation of mining and mineral processing complexes for operational cost reduction have been widely disseminated in more than 100 technical papers, and at numerous scientific and industry presentations in all continents. Dr. Bascur is the creator of the Dynafloat© and Dynamill© dynamic simulation industrial models. He has recently designed an algorithm characterize the operating conditions of an industrial plant to assess the operational performance of each area of the plant. The classification of the operating data enables generation of predictive models using machine learning tools for mine/mill/metallurgical optimization. Large costs saving are achieved with an automatic capture of minor equipment production delays and the estimation of water losses are implemented in large industrial complexes. Osvaldo Bascur was born in Concepción Chile in 1952 and attended the Alliance Francaise, Lycee Charles de Gaulle in Concepción, and then graduated in both Chemical Engineering and Metallurgical Engineering from the University of Concepción. During his 6 year University training programme he worked as a trainee engineer on the oxide leaching and smelting plant at Mantos Blancos, Antofagasta and then on the oxide leaching, solvent extraction plants and refinery at Codelco's Chuquicamata copper mine. Visiting teachers from France and Belgium, and engineering friends, had motivated his studies in metallurgical, then chemical engineering. 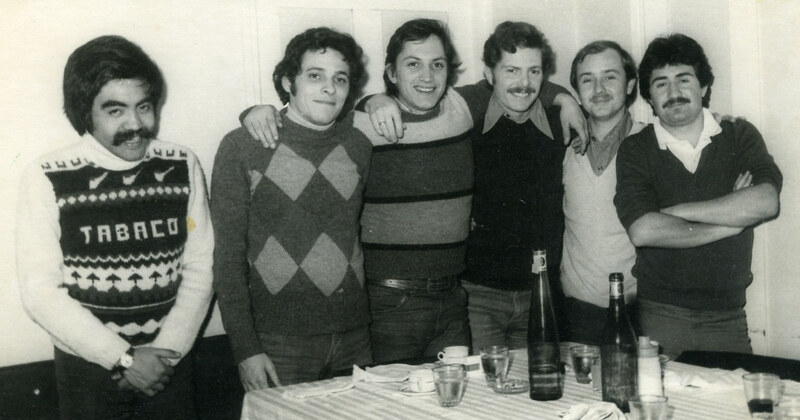 On graduating in 1976, Osvaldo was offered post-graduate studies at various universities in the USA. He told me that Prof. Doug Fuerstenau (posting of 20 July 2015) asked him to study at the University of California-Berkeley, and one of his mentors suggested MIT with Prof. Szekely. At that time, however, there were visitors at Concepción from the University of Utah, and Prof. Alexander Sutolov, the great Yugoslavian engineer and founder of the Metallurgical Department at Concepción, was an invited professor at Utah. The fact that John Herbst , a student of Prof Fuerstenau, was also at Utah, and the bonus of “fine skiing in the nearby mountains” determined his decision to study at Utah. Osvaldo says of his supervisor, John Herbst "John is an outstanding Professor. His scientific approach to mineral processing using particulate systems is very defined. His class notes were very well organized and his examples very well chosen. He provided outstanding coaching, mentoring and support for his students at the University of Utah". Osvaldo obviously thrived on his Utah experience, which was the era of the introduction of personal computers. During his first month he was provided with an early PC and developed many process unit models, and an interface between an X-ray analyzer and a control system for the online modelling of grinding and flotation. He and John Herbst were developing Dynamill and Optimill, and “everyone was amazed with the things that we could do with computers”. He says that he met “half of the world in mineral processing and extractive metallurgy, including Profs. Lynch (posting of 11 August 2014), Barbery, Houdoin, King, Niemi, and many others,” who were to become leaders in this new field. 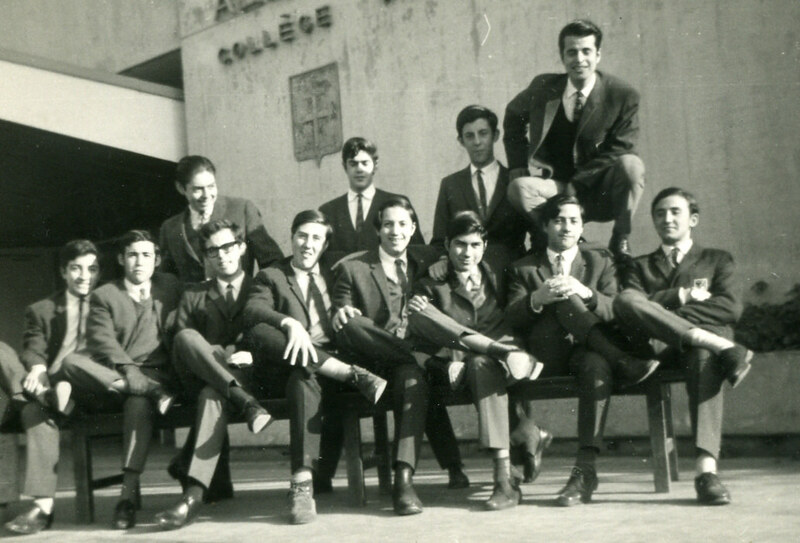 These pioneers greatly influenced Osvaldo’s career. He says that he closely followed the simulation work being done by Peter King at NIM in South Africa. 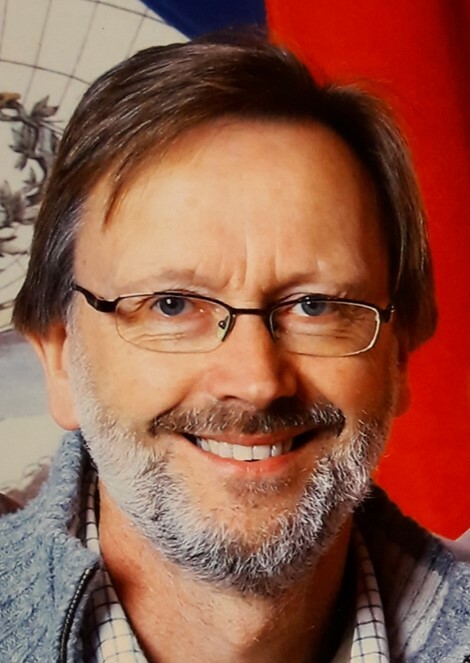 Prof. Ted Woodburn, of UMIST, UK, also had a profound influence, when he spent some time at the Uuniversity of Utah and Osvaldo used his work to model the detachment sub processes in flotation, using the turbulence intensity measured on line to characterise the attachment and detachment forces. 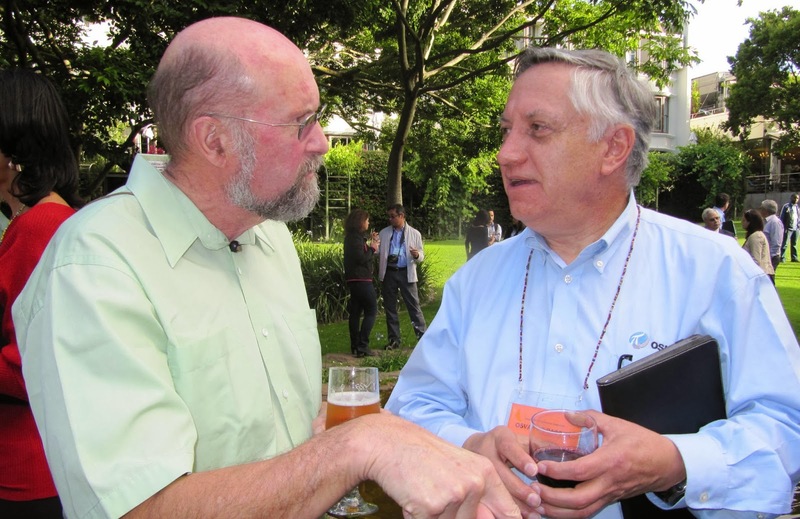 Osvaldo had been aware of the early work of Alban Lynch, and TC Rao (posting of 16 July 2014) during his days at the University of Concepción, when he was introduced to the Rao-Lynch Model, and learned learn how to use multilinear regression to tune the model. Their hydrocyclone model was enhanced and used in all the models that he developed from 1977. He says that “we still use their influence to this day in modelling the hydrocyclone overflow stream to predict the particle P80 and % solids, these tools now being called machine learning and predictive analytics. 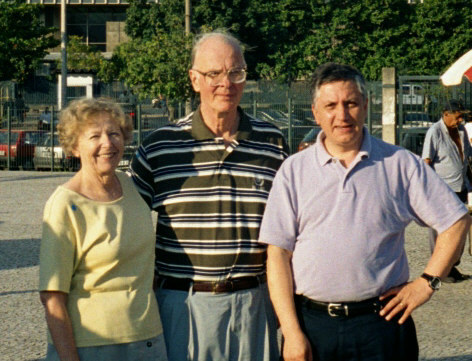 Osvaldo’s undergraduate Professor at Concepcion was Fernando Concha who introduced him to the theory of continuum systems, which he further developed at Utah, influenced by similar equations developed by Prof Tikhonov of St. Petersburg University, Russia, who provided guidance on his PhD thesis. He and Prof. Concha developed a theory of suspensions to model fluidization, filtration and thickening, which was published at the 1976 IMPC, and Prof Concha later received the Antoine Gaudin Award for the thickening work. Second only to Prof. Doug Fuerstenau in Osvaldo’s esteem is Prof. Heinrich Schubert, who shared his ideas on the hydrodynamics of flotation cells, which were used in his thesis to develop a very precise method to measure the turbulence in a flotation cell to characterize bubble generation, air holdup and attachment and detachment sub processes. 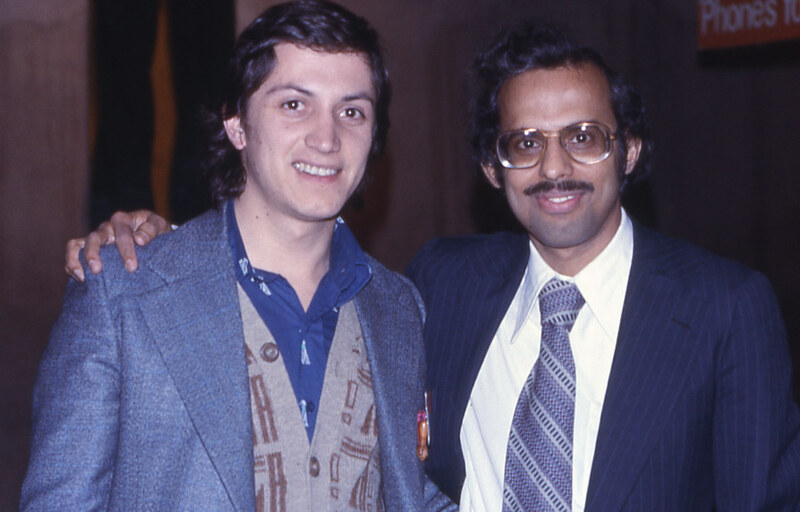 During his time at Utah, Osvaldo started working with Dr. Ed Free, who he had met at an Asilomar National Science Foundation Conference on Modelling Particulate Systems organized by Profs. 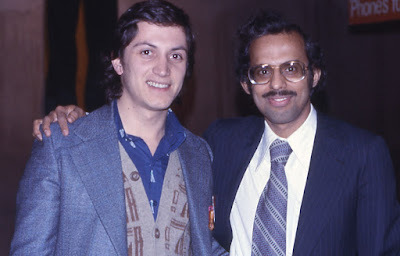 Herbst and Kal Sastry. Dr. Free offered him a job at the meeting, so after receiving his PhD from Utah in 1982, he joined Duval Corporation of Pennzoil (now Shell), where he developed the Real Time Historian and A Process Advisor, both data collection systems for operational management. He says that he gained tremendous experience with Duval, at Chino, Sierrita and Battle Mountain Gold (now Barrick), and when in 1986 Pennzoil decided to sell Duval to Cyprus minerals, Pennzoil offered him a job at Woodlands, Texas, to build the controls and plant information systems that were developed with a few excellent programmers in Tucson. He accepted the position, and he and his family then moved to Woodlands in Texas. 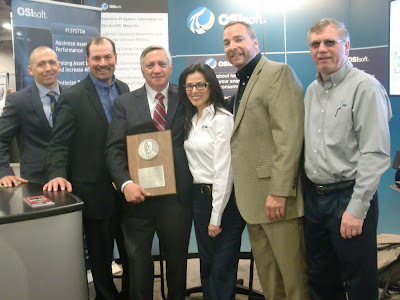 In 1995 Dr. Bascur was hired by Oil Systems, now OSIsoft, the makers of the PI System. At that time there were 34 employees, now there are 1500. 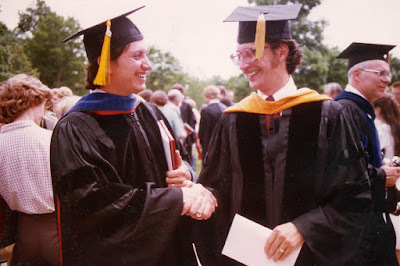 Upon his arrival at OSIsoft, Osvaldo joined Dr. J.P. Kennedy in his vision of empowerment of process engineers with the chemical engineering principles necessary to optimize the basic industries using a scientific approach. 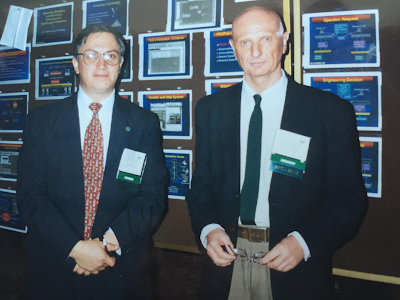 At OSIsoft Dr. Bascur became a true mining industry leader with his formulation of a blueprint for real time enterprise information systems to improve energy and water management. Implementation of such optimizing processes has resulted in the conservation of resources and significant profits for plants all over the world. Recently he has designed an algorithm to characterize the operating conditions of an industrial plant, in order to assess the operational performance of each area of the plant. Classification of the operating data allows predictive models to be generated using machine learning tools for mine/mill/metallurgical optimization. Large costs saving are achieved with automatic capture of minor equipment production delays and the estimation of water losses implemented in large industrial complexes. Dr. Osvaldo Bascur has developed into a major player on the mineral processing stage, and I asked him how, in between all his travelling and assignments, does he relax, what are his outside interests? He said that he enjoys travelling with his family, hiking, skiing, cooking and has an eclectic taste in music- opera, guitar, bossa nova, flamenco, boleros and Beatles! 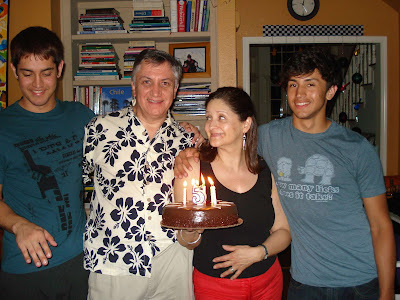 Osvaldo on the occasion of his 55th birthday in 2007, with his family Felipe, Carmen and Sebastian. in the construction business. Sebastian is a Personal Trainer working in Portland, Oregon. It is always a great pleasure to talk to Osvaldo, and I expect to hear much more of him in the future. He is currently working on a book, and has also written a chapter on Process Control and Operational Management for the forthcoming new SME Handbook.